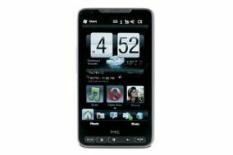 HTC HD2 review | What Hi-Fi? audio lacks a little detail. If we're talking first impressions, the HTC HD2 gets off to an absolute flier. The 4.3in, 800 x 480 resolution screen is relatively enormous and packed into a profile that's just 11mm deep. The HD2's rigid buttons and solid, seamless casing make it a stunner to look at. Turn the phone on and the HD2 takes you through a screen-by-screen process that sets up wi-fi, email, contacts and more, and leaves you with a great-looking home screen. It's built around a 3 x 3 arrangement of icons of your choosing that allow you direct access to any program, contact or bookmark. The icing on the cake is the weather graphics that fill your screen with rain or shine, depending on live conditions in your area. So far, so good, but after extended use we can't help thinking the HD2 is right on the cusp of being too big. The huge expanse of screen makes it hard to reach icons at the top – notably screen unlock – and pressing buttons at the bottom requires you to shuffle your hand position or use two hands. The HD2 is powered by both the latest Windows Mobile 6.5 software and HTC's own 'HTC Sense' program. This does make for a mass of icons on the main menu with some crossover – looking for music, you've the choice of the 'music', 'windows media' and 'file explorer' menus, while there's Internet Explorer and Opera browsers. Still, the multi-touch screen is largely effective. Browsing the menus is smooth and web browsing using Opera is super-fast – almost too fast, zipping from one side of a web page to another with the smallest of movements. The auto-formatting of text is excellent as you zoom in and out, but clicking smaller links does demand a certain level of accuracy. Over to music and movies and the HTC produces mixed results. Music stored on an SD card is full-bodied and evenly balanced, giving just a little away in terms of detail and dynamics to the Apple iPhone 3GS, with support for MP3, AAC, WAV and Apple Lossless. Streaming video proves troublesome. YouTube struggles with jerky pictures and out of sync audio, although stored content is clean and colourful, only lacking a little in absolute detail. The HD2 feels good in the hand, the home screen is beautiful, while the HTC Sense interface is largely enjoyable. But does the HD2 deliver all-round five-star performance, particularly in terms of usability and AV performance? Not quite.